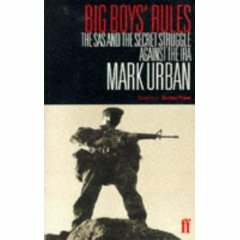 The definitive account of one of the most remarkable stories ever to emerge from Britain's secret state. When the British Army arrived in Northern Ireland in 1969, the local knowledge of Antrim-born public relations officer Colin Wallace proved a godsend. 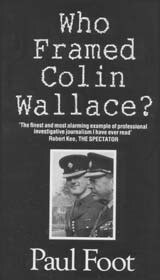 As the conflict developed, information became a crucial battleground, and Wallace became increasingly involved with psychological warfare. Initially, this meant working with MI6, but in 1973 the Northern Ireland role passed to MI5. This was followed by the initiation of project Clockwork Orange, a smear campaign intended to discredit paramilitary leaders. However, as Foot shows using Wallace's contemporary notes, the project soon became a right-wing propaganda campaign aimed at British politicians, notably including the key smear that Harold Wilson was a KGB agent. The campaign intensified in 1974, as MI5 set out to undermine the new Labour government and it's attempt at power-sharing in Northern Ireland, the Sunningdale Agreement. A remarkable biography which adds up to a secret history of postwar Britain. 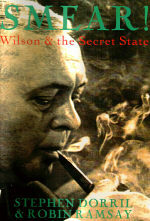 This book shows how Wilson's 1950s contacts with Soviet Union, while authorised by Winston Churchill, made him vulnerable to right-wing smears in his later career. Wilson's ascent to the Labour leadership following the death of Hugh Gaitskell, doyenne of the CIA-backed Labour right, saw him labelled as a Soviet spy by defector Anatoly Golitsyn and right-wing counter-intelligence officers James Angleton of the CIA and Arthur Martin and Peter Wright of MI5. The allegation would become a weapon in the political struggle over Wilson's attempts to modernise Britain at the expense of the City of London and the wider establishment. Ramsay and Dorril details the coup plots against both Wilson Governments, and the internal rivalries within and between MI5 and MI6, whose competing agendas in Northern Ireland would become bound up with the campaign against Wilson in the crucial year of 1974. Their portrait of US influence on the centre-left from the Gaitskell era to the fore-runners of the SDP is strikingly relevant to the New Labour era. Meticulously footnoted with an extensive bibliography, this is one of the best books ever written about the intelligence world.